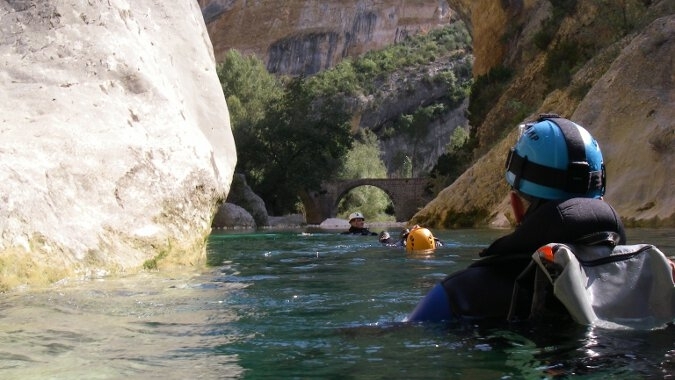 This exciting week-long trip gives us the best of both worlds, tackling canyons in both the French and Spanish Pyrenees. 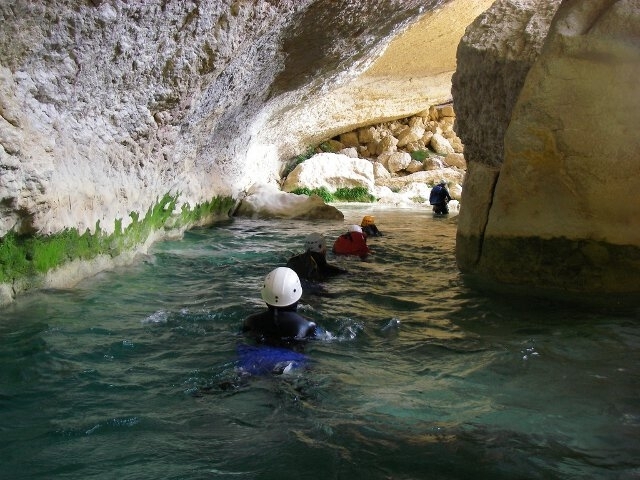 We love the startling contrast between the two different areas – in the character of the canyons (although , although both sides have a great mix of aquatic and vertical canyons, and beautiful scenery), and also the landscape, culture and local foods. The French half of the week is based in the traditional mountain village of Barèges, from our lovely catered chalet “Les Cailloux”. 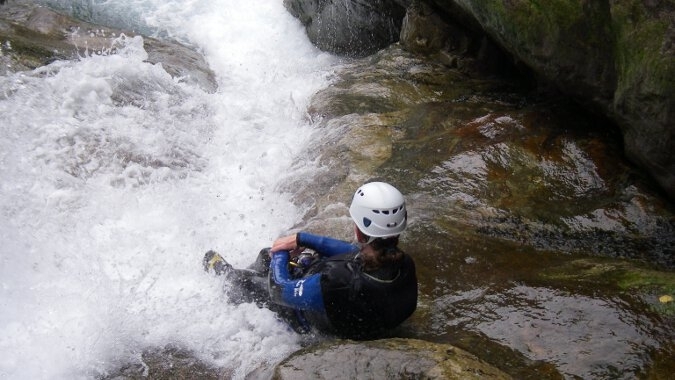 For the second half of the week we transfer to Spain and the legendary canyoning area of the “Sierra de Guara”. 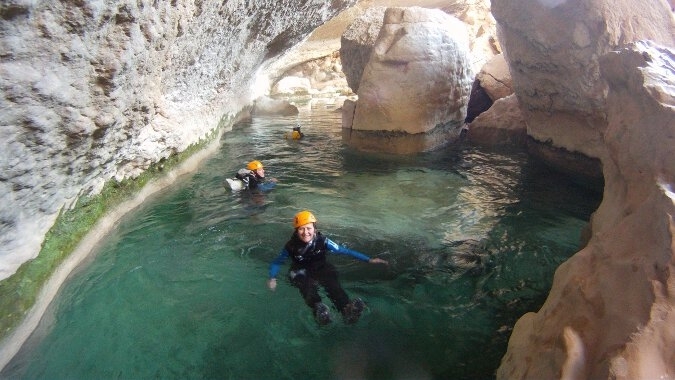 Just over the French border, and around the base of the spectacular Mont Perdu (the second highest peak in the Pyrenees), the landscape is characterised by stunning gorges, limestone pinnacles and smooth canyons carved from the soft local rock. We’re based at the comfortable “Casa Castro” hotel, in the village of Alberuela de la Liena. 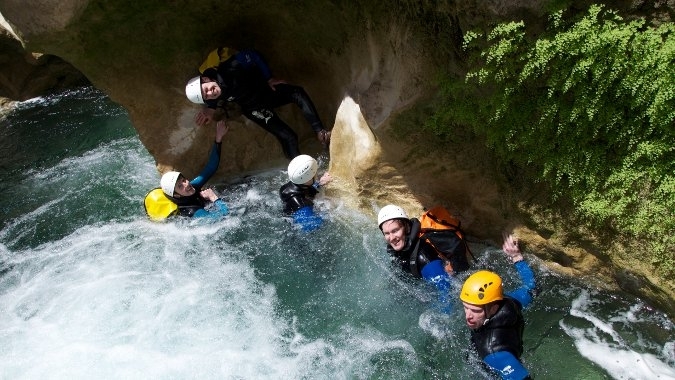 The hotel has spacious en-suite bedrooms, a drying area for canyoning kit, and an excellent restaurant serving typical Spanish cuisine. Please note the holiday price does NOT include airport transfers or transport to and from the canyons. For this holiday your group will need your own vehicle. Please enquire about prices if you would like us to provide transport. Arrive in France and transfer to Barèges. 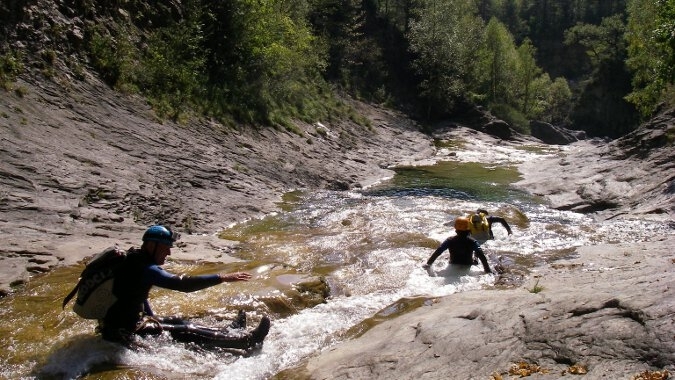 We have a detailed information sheet on the different ways to get to Barèges. Please ask us and we’ll email it to you. There will be a welcome talk on Saturday evening, when we will go over plans for the week, take a look at the local maps and answer any questions that you may have about your holiday. 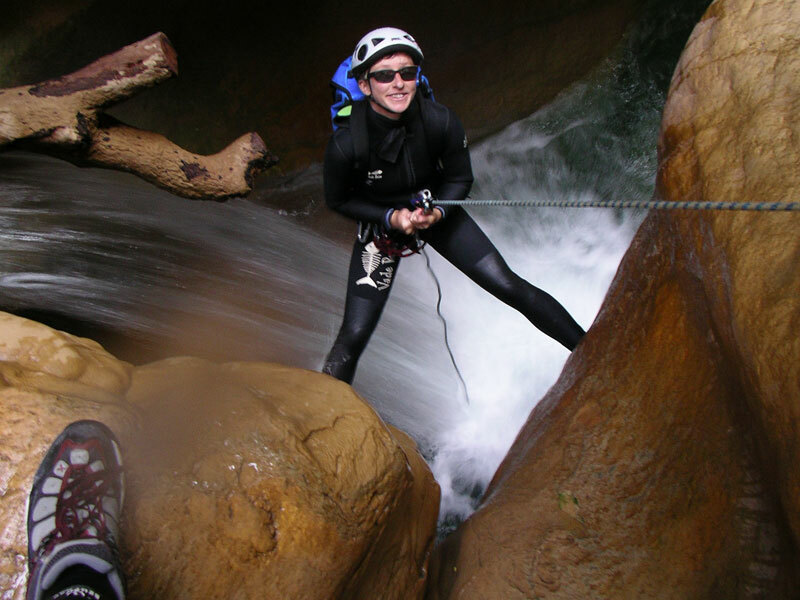 The week begins with a rope skills course in the morning, before putting your skills into action at the local Canyon de Viey. 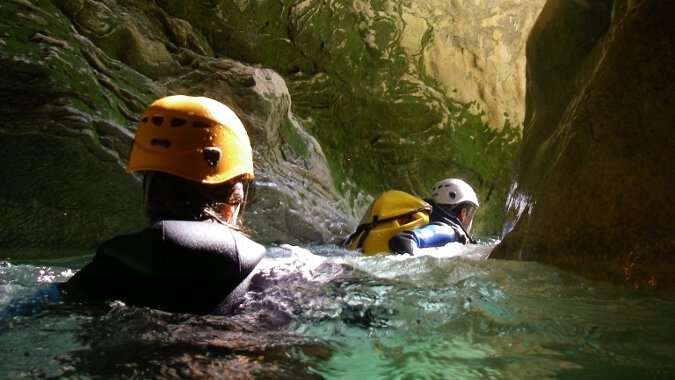 Before we tackle the canyons themselves, we have a relaxed morning looking at the techniques of abseiling and rope safety, familiarising everyone with the kit and giving your canyoning guide a chance to get to know you. After lunch we head to the local Canyon de Viey. 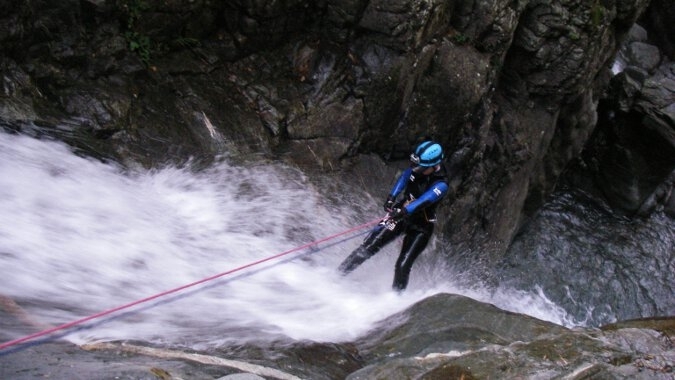 This pretty, vertical canyon culminates with an exhilarating abseil of 45m in a cascading waterfall. We’ll also have lovely views over the meadows of the Bareges valley and up to the high peaks. 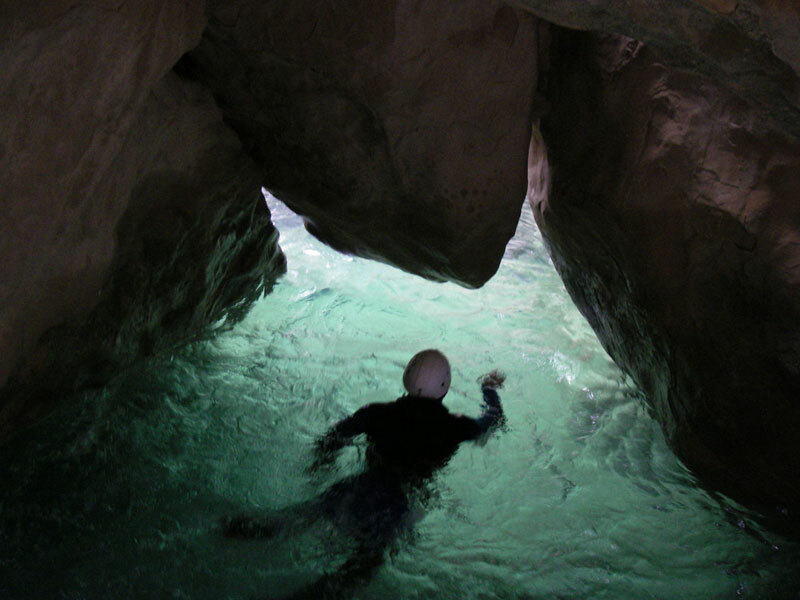 Today we’ll visit two very different canyons, with a real contrast in their character. The Canyon de Heas is an exciting aquatic canyon, with water chutes and jumps amongst smooth, sculpted granite boulders and deep pools. The afternoon’s canyon, Canyon de Cheze, is a dramatic vertical canyon with some challenging technical abseils and a verdant “Lost World” feel . We leave from France first thing in the morning. 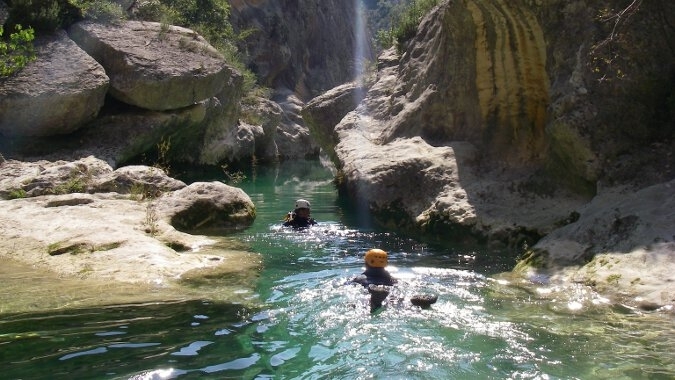 On our way to the Sierra de Guara, we stop off for an afternoon in the Canyon Formiga, a stunning aquatic canyon with beautiful green pools and colourful polished conglomerate walls – nothing too technical, but a good place to practice jumps and dives. 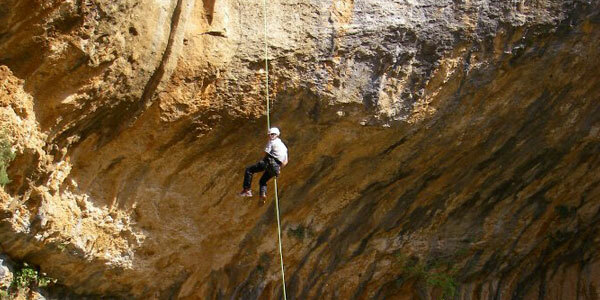 The grand finale of the trip – Foratata canyon with an immense abseil! 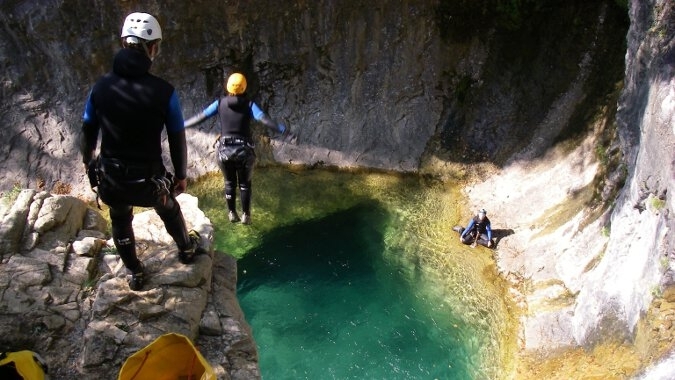 This is a little-known route with mind-blowing scenery – a dry canyon ending in a superb 150m free-hanging abseil, a descent is so vast that the sense of scale is difficult to comprehend. Return to France in the evening for a celebratory meal out.